What you feed grows. What you starve dies! 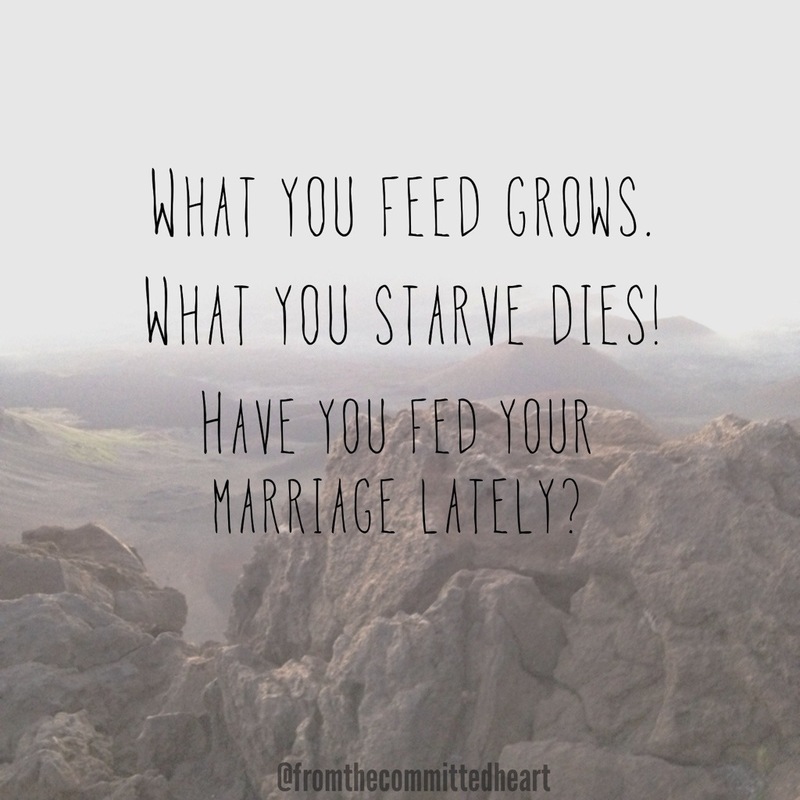 Have you fed your marriage lately? How do you prevent waking up to a stranger one day? How do you prevent the “roommate” feeling? INVEST! Invest in your spouse and your marriage. If you feel distant from your spouse, don’t ignore it…face it, talk about it, but don’t push it under the rug. Relationships take deposits, take time to invest in your marriage! This entry was posted in Marriage and tagged dates, deposits, invest, marriage, marriage monday, prevent by fromthecommittedheart. Bookmark the permalink.